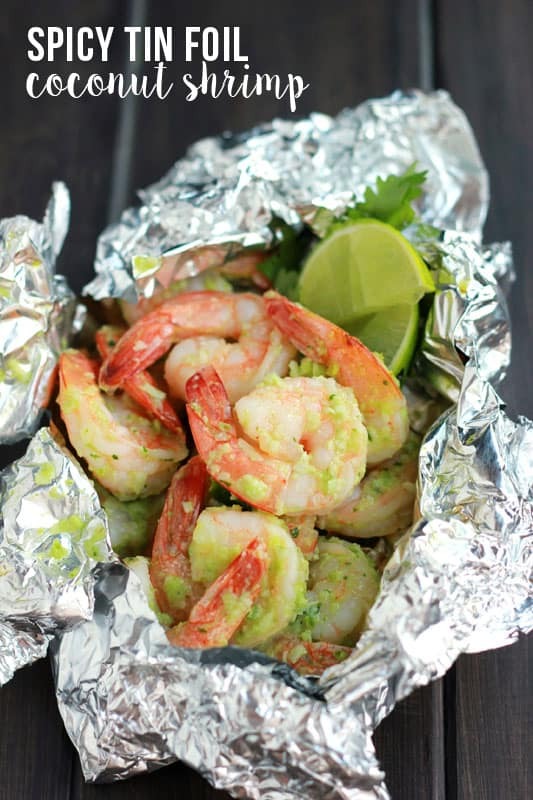 Let’s spice up the traditional tin foil meal this camping/grilling season with this Spicy Coconut Shrimp! 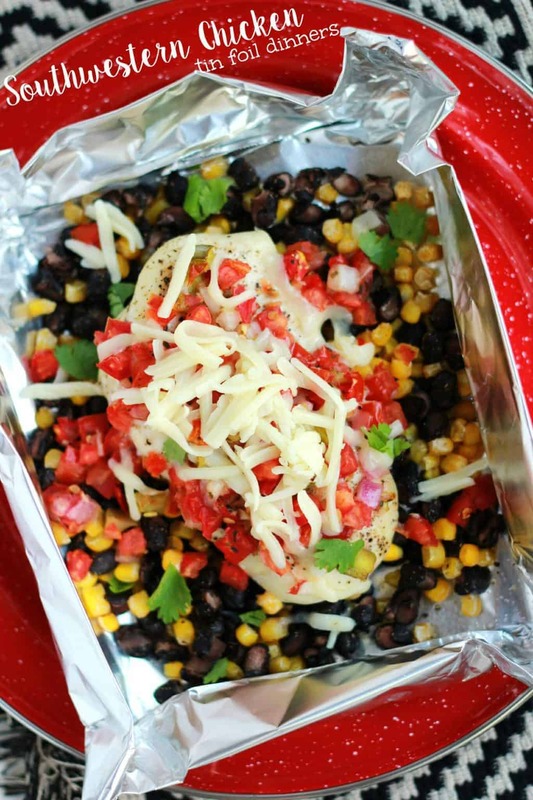 You can get this recipe plus 50 MORE in my new cookbook, Foiled! 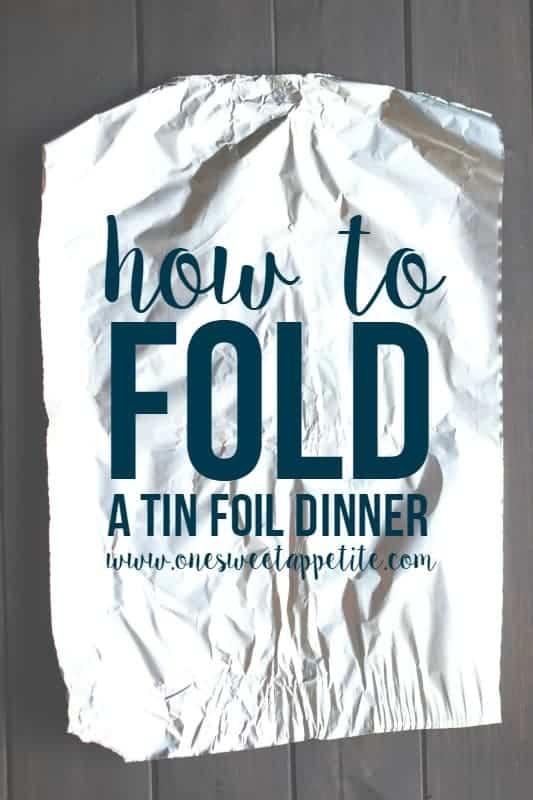 Easy, Tasty, Tin Foil Meals! 1. There is almost no mess to clean up. 2. It’s great for ovens, grills, or coals. 3. The possibilities are endless. That last one created a little problem when I was trying to decide which one to share with you all today but after a quick flip through my book I finally landed on this beauty. 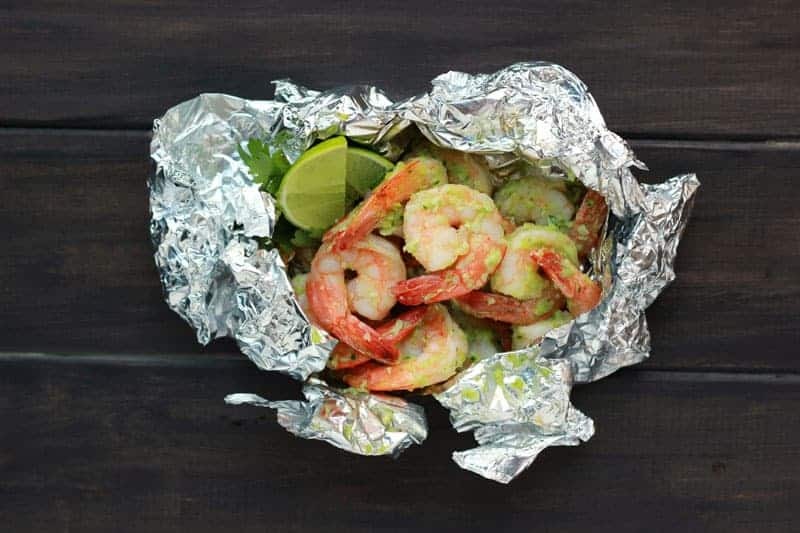 It was one of my FAVORITE dishes and the best part is that you can easily swap out chicken for the shrimp if you aren’t big into sea food! 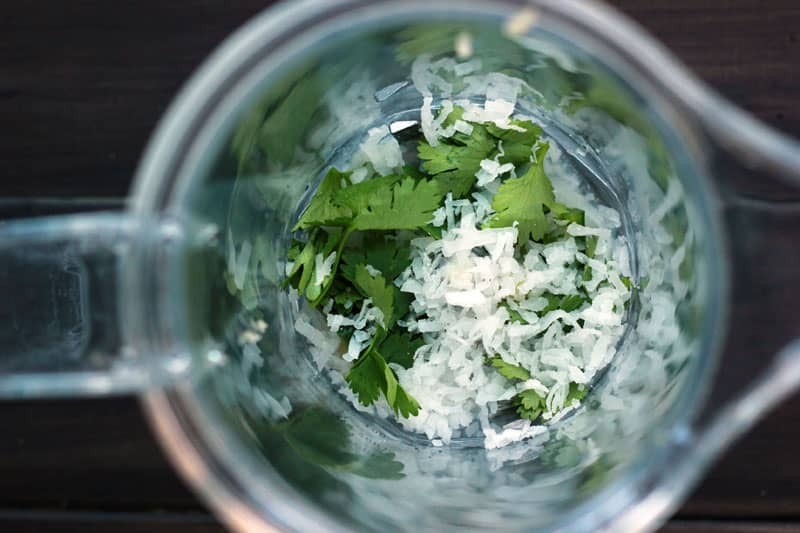 How beautiful is that cilantro? Whenever we make this recipe I like to pair it with rice or roasted veggies. Maybe the wrong pairing? Maybe the best. Since I’m not much of a shrimp eater I have no idea what would be considered the “right” thing but we dig it with either of those options. What would you make as a side? until smooth and transfer to a resealable container. Two hours before eating, stir the shrimp into your marinade. Return to a cooler to rest. Prep 3 sheets of foil with nonstick spray. up the sides to create packets. the shrimp is pink in color. 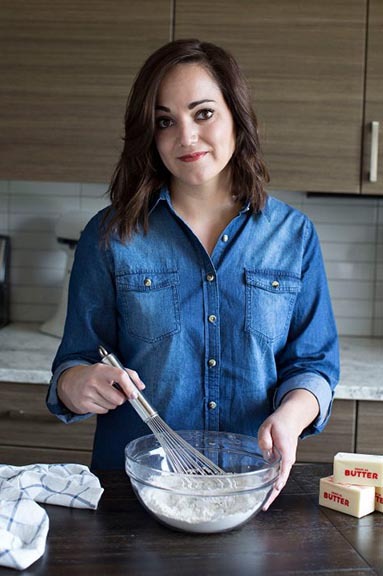 I’ve never made this specific dish in an oven but you can try 400 degrees for 6-8 minutes flipping halfway through.